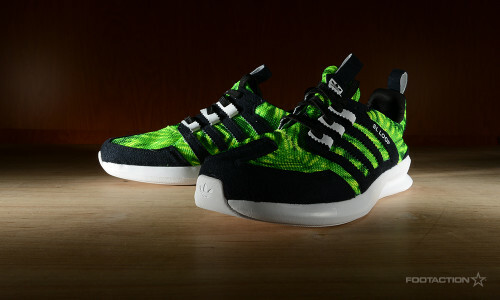 The adidas SL Loop is an addition to the SL family, which has roots with an Olympic pedigree. In the 1972 Munich Olympic Games, the runners took off their spikes and laced up in the “podium shoe” SL 72, a shoe designed for athletes to wear in between competitions. Traces of the SL 72 can be seen in the this most recent SL Loop Runner through its lightweight upper material, iconic T-toe and sculpted concave midsole that have all been updated for modern standards. The “Green Burst” colorway is one of the more eye-catching of the selection, with its brightly colored upper.